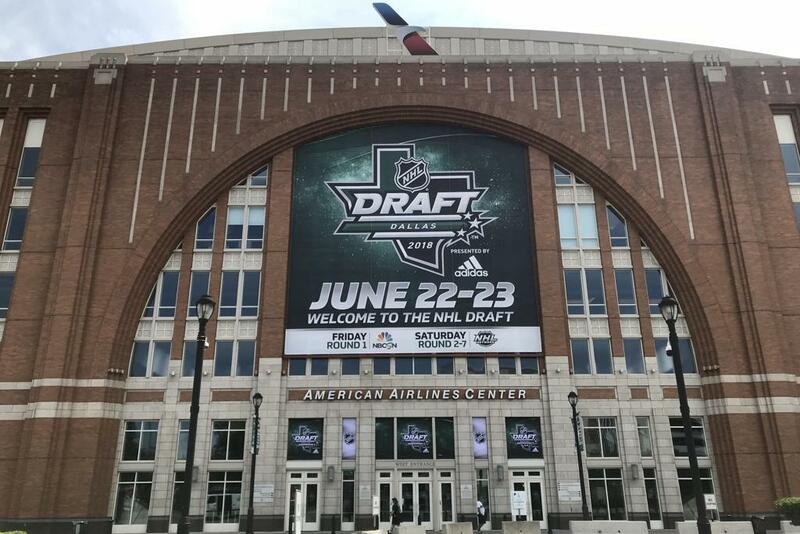 DALLAS – Fifty-two Americans were selected in this weekend’s 2018 NHL Draft at American Airlines Center, home of the Dallas Stars. A total of 16 players from USA Hockey's National Team Development Program were chosen, including Ty Emberson (Eau Claire, Wis.), who became the 300th NTDP player drafted all-time. Six Americans were taken in Friday’s (June 22) opening round, with forward Brady Tkachuk (St. Louis, Mo.) the first U.S. player off the board when the Ottawa Senators drafted him 4th overall. The Vancouver Canucks selected defenseman Quinn Hughes (Orlando, Fla.) with the 7th pick in the draft before forward Oliver Wahlstrom (Quincy, Mass.) was chosen 11th overall by the New York Islanders. The Philadelphia Flyers picked a pair of American forwards, Joel Farabee (Cicero, N.Y.) at 14th overall and Jay O’Brien (Hingham, Mass.) at 19th overall. Defenseman K’Andre Miller (Minnetonka, Minn.) was the sixth American taken when the New York Rangers made him the 22nd overall pick. Four more Americans were taken in the second round, nine in the third, 14 in the fourth, six in both the fifth and sixth rounds and seven in the seventh round. 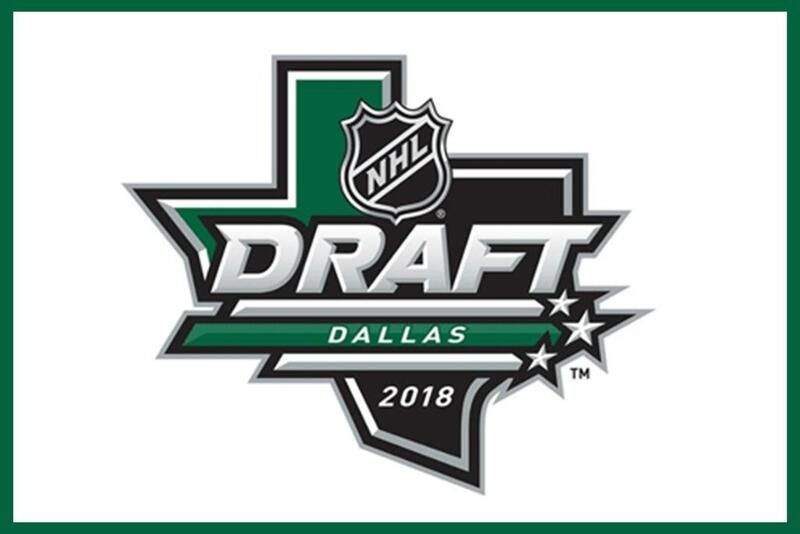 For a complete list of Americans taken in the 2018 NHL Draft, click here. 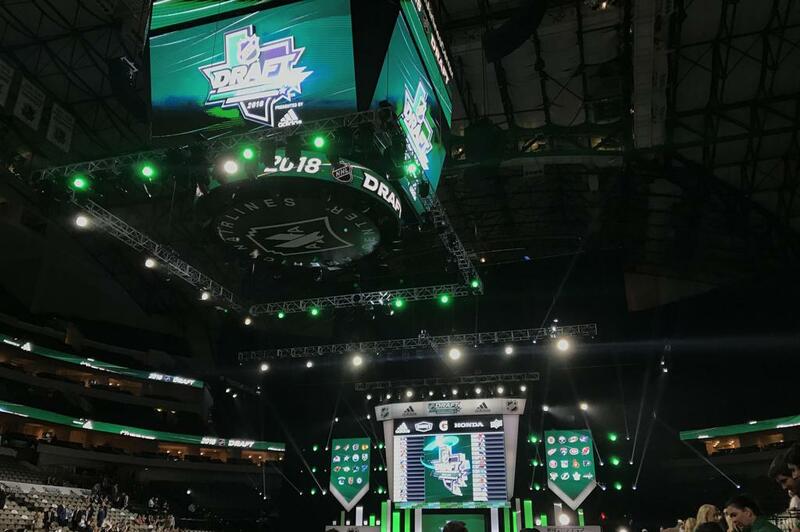 NOTES: The players drafted represent 18 different states, including California (2), Colorado (1), Florida (2), Illinois (7), Massachusetts (8), Michigan (7), Minnesota (10), Missouri (1), New Jersey (2), New York (2), North Carolina (1), Ohio (1), Oregon (1), Pennsylvania (2), South Carolina (1), Texas (1), Washington (1) and Wisconsin (2) … USA Hockey’s junior ranks had another strong showing at this year’s NHL Draft. The USHL had its strongest-ever showing at the NHL Draft, as 57 players with USHL ties were selected. The 57 players chosen set a new USHL record, eclipsing the previous mark of 51 set at the 2014 NHL Draft. 45 of those 57 players skated in the USHL during the 2017-18 season, also setting a league record, breaking the previous mark of 40 set last year at the 2017 NHL Draft. Of those 45, 37 were Americans … Sixteen players selected were regulars for USA Hockey’s National Team Development Program, including 12 who skated this past season with USA Hockey's NTDP in Plymouth, Michigan ... Nine players who spent time in the North American Hockey League were drafted … Nine players who played in high school or prep school in 2017-18 were drafted … Of the 67 players drafted with college ties, 46 are Americans … Thirty-eight players drafted have skated in a USA Hockey Player Development Camp while 28 of the drafted players participated in last September’s All-American Prospects Game in Buffalo, N.Y., bringing the total number of drafted AAPG alumni to 155 ... Overall, 16 players drafted have represented the U.S. in International Ice Hockey Federation world championship play, including one at the 2018 IIHF Men’s World Championship (bronze), three at the 2018 IIHF World Junior Championship (bronze), 12 at the 2018 IIHF Under-18 Men’s World Championship (silver) and five at the 2017 IIHF Under-18 Men’s World Championship (gold) … Ten players have played on a U.S. Under-18 Men's Select Team, six players have skated on a U.S. Under-17 Men's Select Team and eight players have played on a U.S. Junior Select Team ... For USA Hockey’s coverage of the 2018 NHL Draft, click here.